How to eat me: 1. 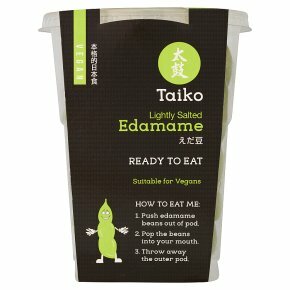 Push edamame beans out of pod. 2. Pop the beans into your mouth. 3. Throw away the outer pod.